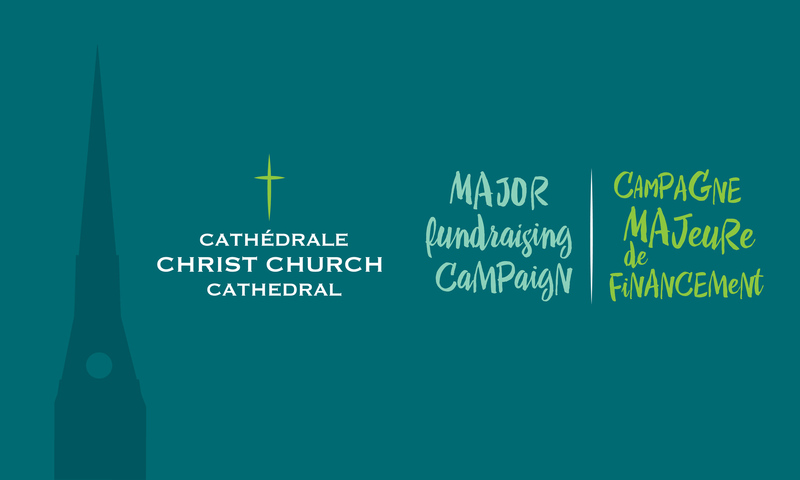 From all of us at the Christ Church Cathedral Major Fundraising Campaign, a very merry Christmas! This week, we are honoured to present a Christmas message from the Reverend Amy Hamilton, Interim Priest-in-charge at the Cathedral. In the two years that I have been working at the Cathedral, I have been involved in the planning of the cycle of the carols and lessons services, including those of Advent, Christmas and Epiphany. I must admit that I have the most fun planning Christmas and Epiphany. This is because of a tradition that started a few years ago of using alternative texts such as poetry, sections of letters from theologians and reflections from other writers on how the birth of Christ has changed their life or how they see Christ in our world here and now. It is challenging to ensure the balanced weaving together of scriptural readings and “other” texts to make a whole that can stand alongside the carols and musical pieces sung by the choir and congregation. This year, I stumbled upon a poem by Rowan Williams, former Archbishop of Canterbury. It had made its way around Facebook and blog posts a few years ago, but it is this year that I personally needed to hear this poem, needed to live it and breathe it as I walked and ran through Advent to land into the rush of Christmas Eve. He will come. What a promise! It is a promise that I find I need to be reminded of each year and that I long to hear. He will come. He will come time and again. Jesus is here among us like a gently falling leaf, like the silent frost of the morning and like the comfortableness of the dark. In the busyness of our lives that makes it easy for us to forget. But Jesus also comes crying. He comes crying out in the night for us to hear that we are not alone in this life; that He will come to a world that hungers and thirsts; that His arrival is as inevitable as one day following the next or as the moving seasons of our life. It is what every fibre of our being longs to hear: He will come. He is here and we are never alone. The Rev’d Amy Hamilton was born and lived in Moosonee, Ontario, a small northern community for the first nine years of her life. She moved to a small town in Southern Ontario called Foxboro, which is near Belleville, Ontario. She enjoyed growing up in a rural community, where she was shown how small communities can be strong centres of innovations and forward thinking grounded in mutual support. She attended Trinity College in Toronto and completed her Master of Divinity with honours. She moved to Montreal in the summer of 2015 and has been enjoying getting to know the city and province. Amy is passionate about creating spaces and places for people to be able to explore who they are and who God is calling them to be. She loves exploring new ways of how Church and liturgy can be created to express people’s lives and community. In her spare time, Amy is a great knitter. She is always looking forward to the next project especially when it brings the opportunity to learn new skills and challenges. She loves gathering with other knitters to share stories and laughter.